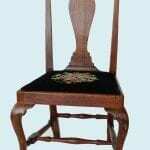 This Martha Washington or lolling chair has brass studs in a scallop design and a slight s-curve to the arms, but otherwise eschews ornamentation. Lolling chairs are an American form. 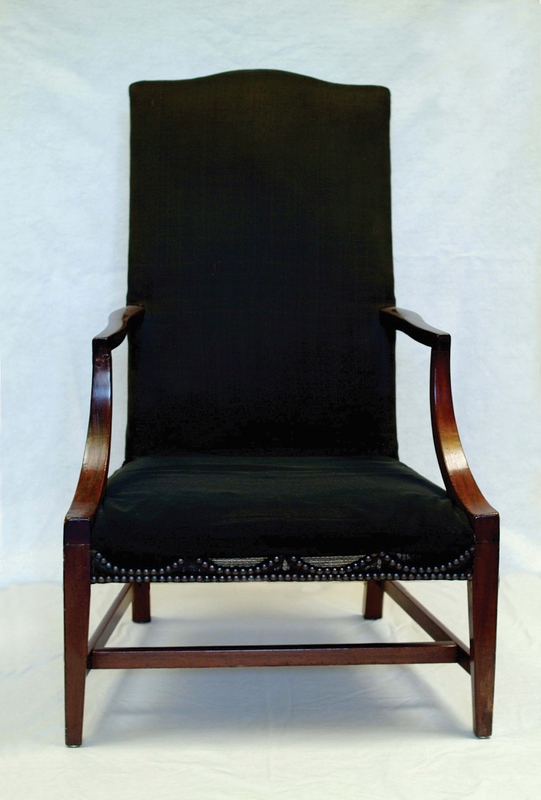 In the late eighteenth century high-backed easy chairs were fading from popularity in England and on the Continent, but New England craftsmen were breathing new life into the style.